Sa tsraith ghríosaitheach seo, fiosraíonn Aoife Ní Chaiside, iarchaptaen agus buaiteoir trí bhonn Uile Éireann lena foireann, Sleacht Néill, buanna agus baic do mhná spóirt in Éirinn inniu. Sa chéad chlár, buaileann Aoife le réalta mór peile agus camógaíochta Chorcaí, Rena Buckley. 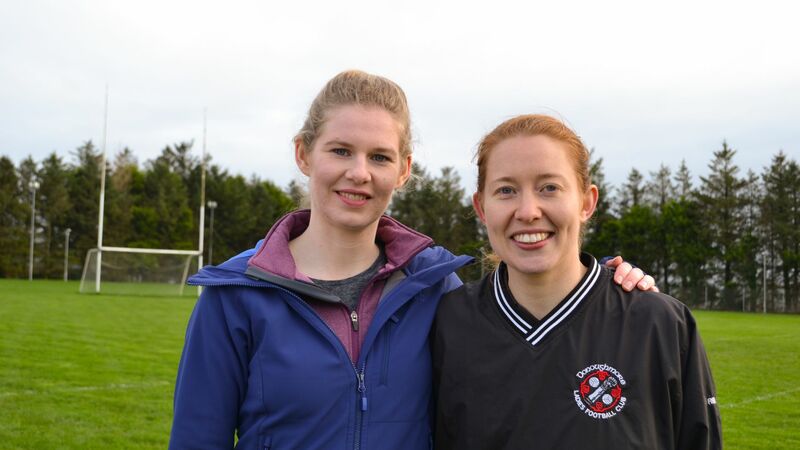 In this stirring three-part series, All-Ireland Club Camogie winning captain, Slaughtneil’s Aoife Ní Chaiside ventures beyond the Gaelic games to examine the trials and triumphs of women in Irish sport today. 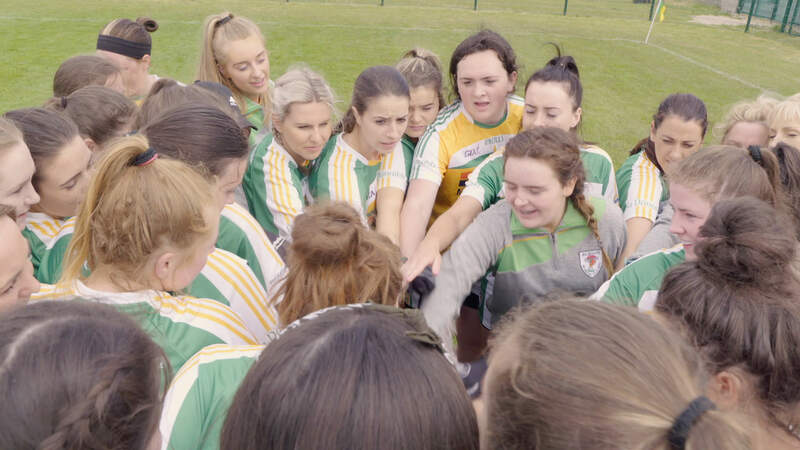 In the first episode, Aoife meets football and camogie dual star, Rena Buckley, and discusses the values at the heart of team sports. Clár faisnéise a bhaineann le níos mó ná bás agus nósanna an bháis. Scéal faoi fhear a chaith saol agus nár thuig a luach go dtí go raibh an bás ar léic an dorais aige, rud a bhíonn coitianta go leor. Turas pearsanta atá sa gclár seo a leanann Seosamh Ó Conchúir ar a chuid laethanta deireanacha ar an saol seo agus a theaghlach le linn na tréimhse seo. With rare and unique access Scéal na Beatha is an uplifting documentary that everyone will identify with on some level. It is about more than death and rituals. 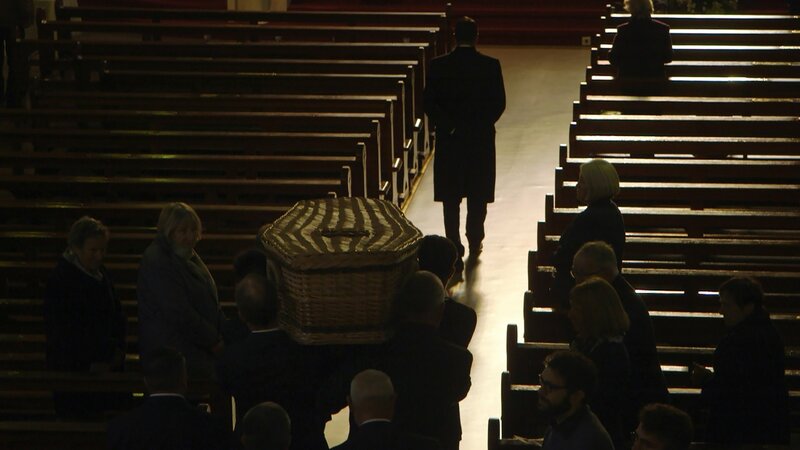 It is about a man who lived a full life but only came to realise how important he was to others when faced with his own mortality, which is often the case. Clár faisnéise faoi David Berkowitz nó ‘Son of Sam’, dúnmharfóir srathach a rinne sléacht i Nua-Eabhrac i lár na 1970idí. Tabharfaidh Seán Mac an tSíthigh aghaidh ar Nua-Eabhrac le heolas a chur ar an gcás agus fiosróidh sé mar a cuireadh an Ciarraíoch Timothy J. Dowd, NYPD, i mbun an fhiosrúcháin ba mhó riamh i stair na cathrach. In 1976, David Berkowitz, the ‘Son of Sam’, shot his first victim in Pelham Bay, and started a brutal murder spree that gripped the entire city in terror. 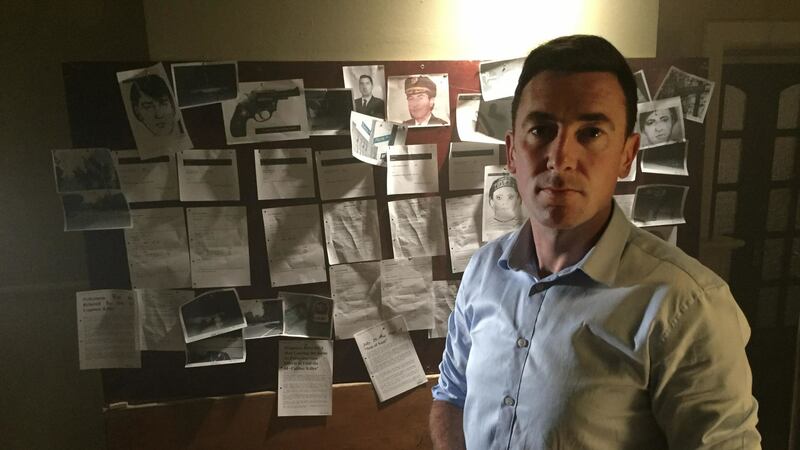 Seán Mac an tSíthigh travels to New York to uncover the story of how fellow Kerryman NYPD Deputy Inspector Timothy J. Dowd was tasked with leading the largest manhunt in New York history. All episodes available to watch on the TG4 Player Here! Sraith faisnéise ar an seachtar fear a shínigh Forógra 1916. Sa chéad clár is Tom Clarke a bheidh faoi chaibidil, an fear siopa agus an sean-Fhínín ar dar le go leor ba mhó a chuir dlús leis an Éirí Amach i 1916. Ba é an chéad duine é a shínigh an Forógra. Cuireadh chun báis é an 4ú Bealtaine 1916. Full documentary series on the 7 signatories of the 1916 Easter Proclamation. The first episode tells the story of shopkeeper, tobacconist and old Fenian Tom Clarke who many believe was the brains and driving force behind the 1916 Easter Rising. He was the first to sign the Proclamation and was executed by firing squad on May 4th 1916. Sraith ina gcuirfear aithne ar Aonghus Chóil Mhaidhc Ó Coistealbha, tabharfaidh Aonghus ar aistear muid lena chruthú gur féidir athrú domhanda a dhéanamh trí ghlasraí orgánacha a chur ar scála beag don mhargadh áitiúil. 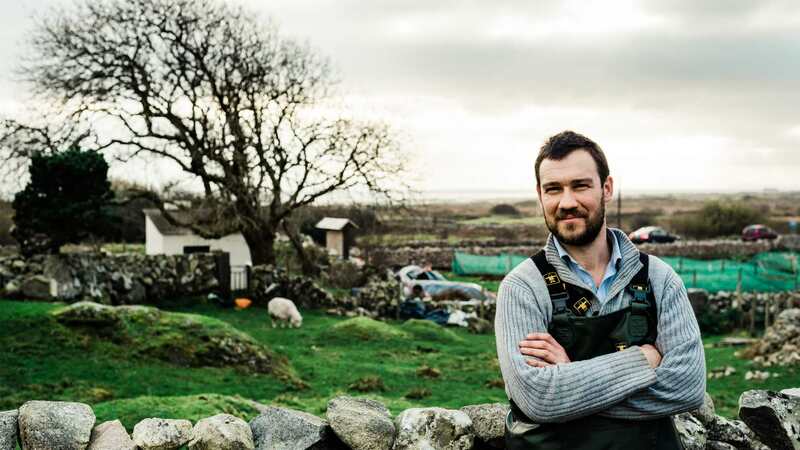 An observational series following Aonghus Chóil Mhaidhc Ó Coistealbha who takes us on a journey to prove that growing organic vegetables on a small scale for a local market really can change the world. Cumann Lúthchleas Gael, a bhfuil 2,500 cumann ar fud na tíre cláraithe leis, an eagraíocht cultúir agus sóisialta is mó in Éirinn. Is beag paróiste nach bhfuil cumann CLG ann agus go minic is é an cumann sin croílár an cheantair. Sa tsraith seo, tabharfar léargas ar na himeachtaí, na buaicphointí agus na trioblóidí a bhaineann do cheithre chumann CLG le linn 2018. With 2,500 clubs across Ireland, the GAA is the biggest, and perhaps the most important sports and cultural institution in the country. With a club in every parish the local club is the corner stone of the GAA and local communities. In this series we tell the stories of four very different GAA clubs as they battle for honours, and strive to survive the 2018 season. Na scannáin is fearr le feiceáil gach tráthnóna Dé Luain ag 9.30pm ar TG4. Ina measc beidh, Phone Booth (01 Aibreán), Inglourious Basterds (08 Aibreán), The Big Lebowski (15 Aibreán), Iomramh an Chamino (22 Aibreán) agus Little Miss Sunshine (29 Aibreán). Watch the best movies on TG4, Monday evenings at 9.30pm. Amongst the movies to be screened will be, Phone Booth (01 April), Inglourious Basterds (08 April), The Big Lebowski (15 April), Iomramh an Chamino (22 April) and Little Miss Sunshine (29 April). Leanann an tsraith uaillmhianach seo ceathrar láithreoirí óga agus iad ag fiosrú agus ag foghlaim faoin domhan mór tríd a súile féin. 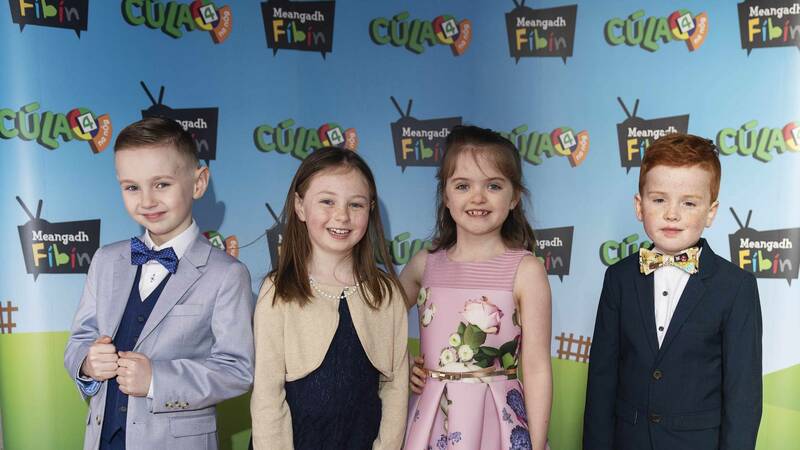 Leanann muid Ríona, Róisín, Joey agus Cóil ar eachtraí éagsúla agus iad ag foghlaim agus ag tabhairt faoi réimse leathan gníomhaíochtaí i ngach clár. This ambitious series follows four young presenters, as they discover the world from their own perspective. 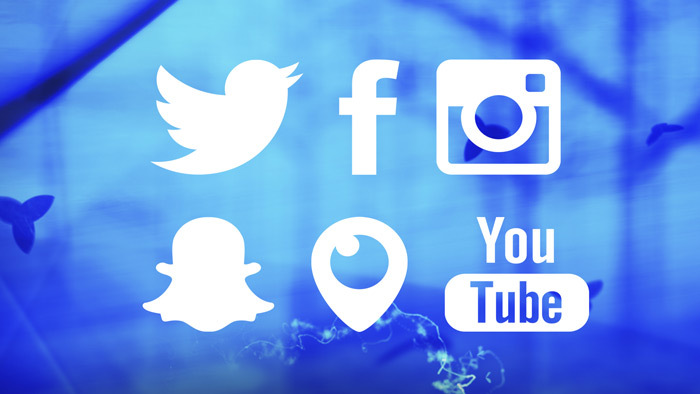 We follow Ríona, Róisín, Joey and Cóil on various adventures as they learn and explore with activites ranging from a visit to the fire brigade team to flower making, from farming to a hip hop dance lesson.